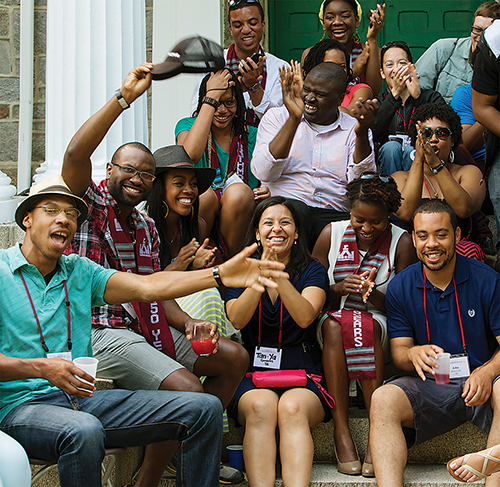 A record 2,700 alumni and friends enjoyed Alumni Weekend, with festivities designed for all graduates in this sesquicentennial year. They came from across the United States and 24 other countries. Here are a few scenes from that memorable occasion. 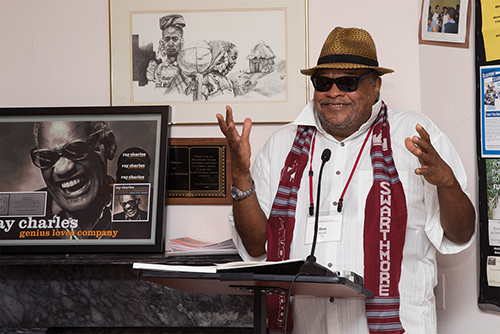 For more on the All-Alumni Weekend, click here. Jeopardy! 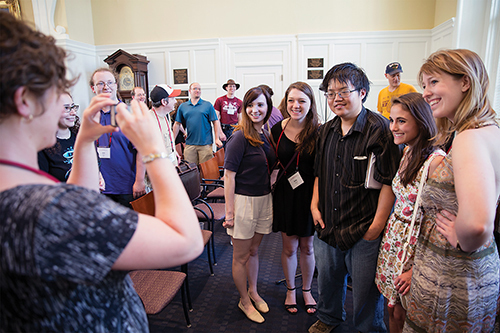 champ Arthur Chu ’06 takes time for a photo op after his rousing talk on campus during Alumni Weekend. Members of the aught years reconnect. The Hon. 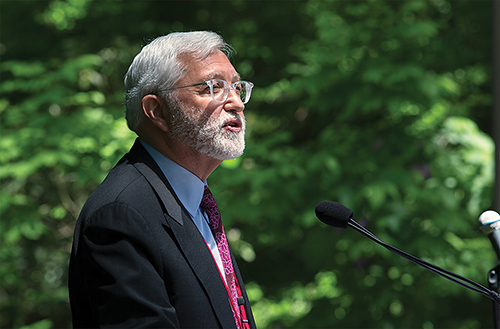 Jed Rakoff ’64 gives the Collection speech. 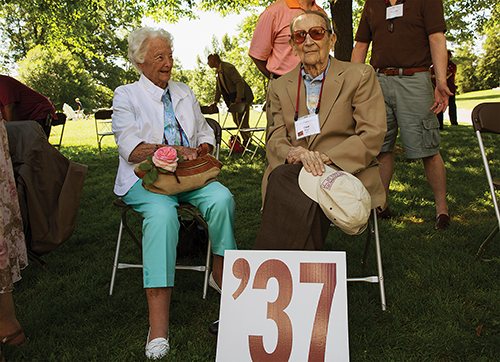 Eldest attendees Louise Stubbs Williams ’34, 100, and Fred Wiest ’37, 98, prepare to process in the parade of reunion classes. 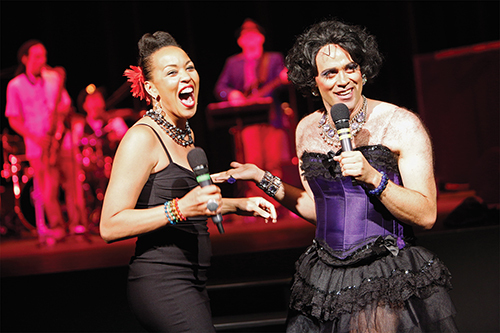 Maya Azucena Newton ’94 joins Martha Graham Cracker, aka Dito van Reigersberg ’94, at the Sesquicentennial Cabaret. Photos by Laurence Kesterson, except the Cabaret photo, which is by Michael Rothbart ’94.